In our new animated video, we set out to answer the age-old question “why did the chicken cross the road?” To help us bring this story to life, we turned to Toronto-based animator Michael Colligan. You may have seen Michael’s work on TV or online for clients like Maple Leaf Sports and Entertainment, TD Bank, or Teletoon. 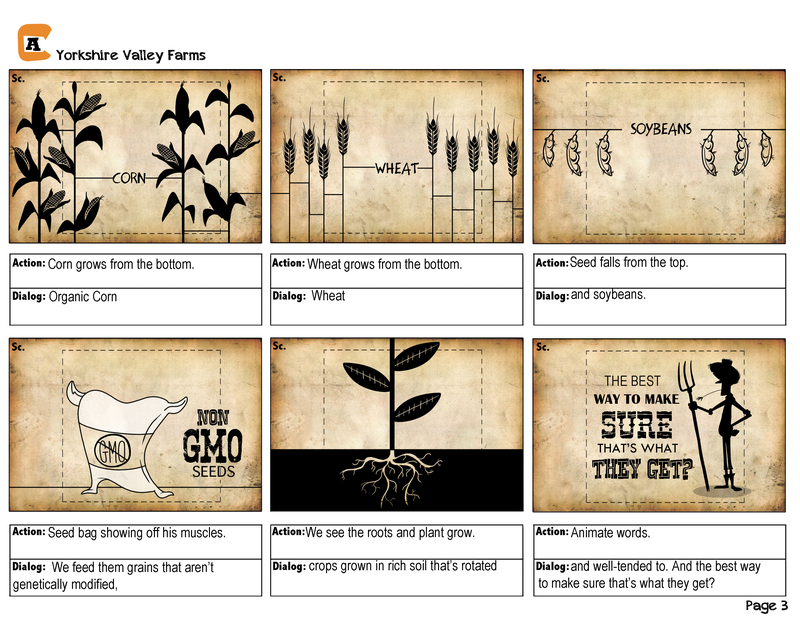 We admit that we’re a bit biased, but we think Michael’s work for Yorkshire Valley Farms is some of his best to date! To give you a peek behind the scenes, we sat down with Michael to discuss what inspired him to become an animator, what it takes to animate a chicken, and, of course, what his favourite chicken dish is. 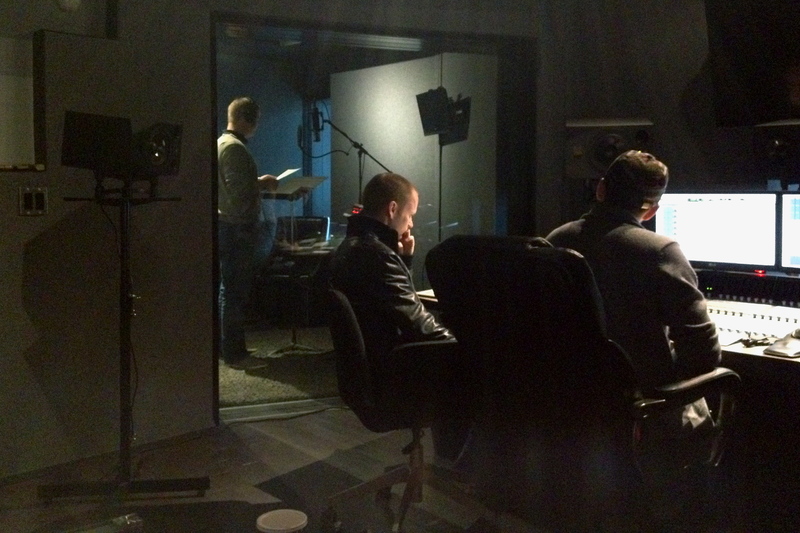 In the sound studio with our narrator, YVF organic farmer Nick Ahrens, at the mic. How did you first get into animation? It all started at the age of 9 with a trip to Walt Disney World. There was an attraction ride called The Magic of Disney Animation. The ride started off with a video of Robin Williams showing the different stages of animation while turning into an animated lost boy from Peter Pan. Afterwards the guests were taken to an observation deck where you got to see the studio first-hand. At that point I was hooked. Can you tell us a bit more about the animation process? What steps do you go through to create a video? The great thing about animation is that it offers a medium of storytelling and visual entertainment. So our first focus is to find that perfect story that represents a brand or company. After we design and create a storyboard based on the approved script, we head to the sound studio to find the proper voice for the video. Now comes the really fun part– animating the video! This is where we add the magic to grab the viewer’s attention. Lastly, we add the final touch ups in the editing room by adding special effects or sound effects. The storyboard maps out the script and the visual flow. Was animating chickens different than other characters you have created? Every character has something different to bring. When it comes to animating chickens, it always comes down to the walk cycle. The joints in their knees move in the opposite way than humans, which can sometimes make it pretty tricky. Did you learn anything working on this project that really surprised you? What I learnt the most working on this project was how much work is actually involved in raising an organic chicken! It’s really fascinating to see how chickens are raised and fed on a certified organic farm. It takes a lot of work to keep them healthy without using antibiotics. We obviously like to talk chicken. Do you have a favourite chicken dish? I would have to say my favourite chicken dish would be fajitas. We recently launched our frozen all-white-meat breaded chicken fillets. What’s your dipping sauce of choice? You’ve gotta go with barbeque sauce. To see more of Michael Colligan’s work, check out his website at cartoonadvertizing.com or follow him on Instagram @cartoonadvertizing. We have great news for our friends in British Columbia. 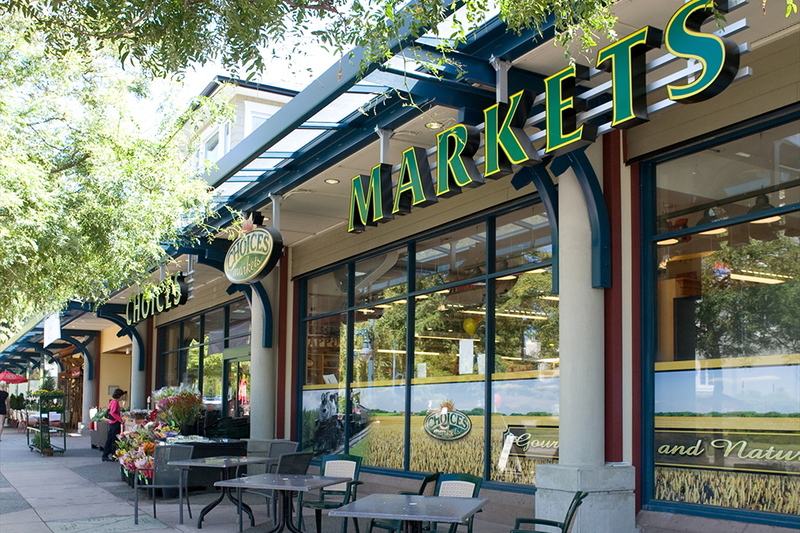 Select Yorkshire Valley Farms products are now available at Choices Markets! We recently spoke with Tyler Romano, Marketing Manager at Choices Markets, to learn about the Choices history and operating philosophy that has helped them to become Western Canada’s largest local retailer of natural and organic food. The beginning of Choices Market was a bit of a happy accident. The first store opened in 1990 in Kitsilano, BC. The initial idea was to offer shoppers a broad range of choices – any kind of food customers wanted – hence the name, Choices Markets. However, in the early days, Choices unintentionally ordered a large shipment of organic rice cakes. The rice cakes sold out in record time! Realizing they were on to something, the Choices team decided to focus on offering healthier, better for you organic options and they haven’t looked back since. Part of the Choices philosophy is to offer a warm, attractive, family friendly shopping experience. Each store has a dietician on site to answer questions. You can even take a complimentary store tour to get guidance on shopping for specific diets or lifestyle needs. Choices has also been a pioneer in offering a range of gluten-free products, including a dedicated gluten-free production facility (which also acts as a storefront) where they make fresh additive-free and gluten-free products daily. When it comes to meat options, Choices knew their customers were concerned with two things: knowing where their meat comes from and knowing that the animals have been treated ethically. Offering Yorkshire Valley Farms organic chicken products allows Choices to satisfy both these concerns providing a product that is free of additives and that is ethically raised. The frozen Yorkshire Valley Farms organic chicken nuggets, fillets, and burgers align with the values of the Choices meat department, making our partnership an obvious one! You can learn more about Choices Markets on their website choicesmarkets.com or visit one of their seven locations: 4 stores in Vancouver, 1 in Burnaby, 1 in Kelowna, and 1 in South Surrey.